PodCast Show Notes: ControlTalk NOW thanks this week’s sponsors Contemporary Controls and International Solutions of America (ISA). 2014 ControlTrends Awards Nominees Nino DiCosmo, Tridium’s President and General Manager, and Thermokon’s North American Sales Manager, David Alliband, join us this week on ControlTalk NOW, providing unique insights into Nino DiCosmo’s high-profile executive role in running one of the world’s leading software platforms and David Alliband’s vigorous efforts to take the Thermokon product portfolio to the next level in the North American market. Contemporary Controls is your ideal partner for applying network technology to your BACnet building automation project. The industry is embracing Ethernet connectivity to Direct Digital Controllers (DDC) along with open protocols such as BACnet, Modbus, and Sedona Framework. ISA’s warehouse maintains a large inventory of new and reconditioned parts. From years of experience, we know the parts our customers need most. So in most cases, your parts are shipped within 24 hours — in many instances, the same day — saving you the expense of lengthy down-time. 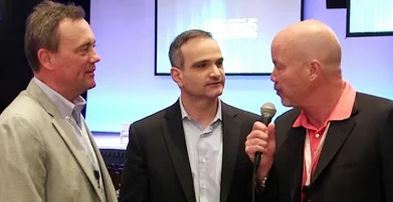 ControlTrends Awards Finalist Sky Foundryy: Are you drowning in a sea of Big Data? 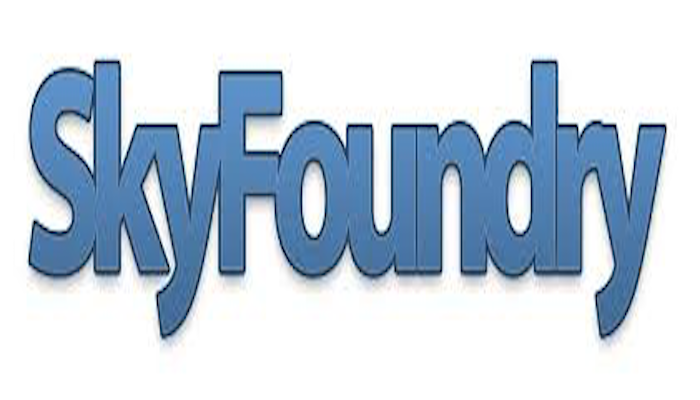 John Petze and his team at SkyFoundry have created a Building Automation Controls analytics package that allow you to easliy find the data that matters to you. Whether you are looking at trends, alarms, or faults SkyFoundry enables the creation of “Sparks” (events) that allow you to interact with your data in powerful ways that make your buildings safer and more efficient. Lynxspring Nominated for Multiple 2014 ControlTrends Awards! E-news from Marc Petock. We are pleased to announce that Lynxspring has been nominated as finalists in the 2014 Control Trend Awards in several categories. The Control Trend Awards recognize the people, product, and manufacturers in our industry that make the HVAC, Controls, and Building Automation Industry what it is today. Heads Up! Hackers Hint at Terror Attacks, Release More Data from Sony Pictures. We received this notice from IT World’s Senior Staff Writer, Steve Ragan. Now that we learned of this potential threat, we need to pass it on to the ControlTrends Community for greatest dissemination. Sony’s $60 Million dollar insurance coverage will not be enough to recover from theft of Sony Pictures Entertainment content and the leakage of more than 200GB of data, including pre-release movies, executive emails, sales and marketing data, and nearly everything from human resources. Niagara Framework Changed Our World! Tridium’s Niagara AX is nominated for the 2014 ControlTrends Awards Building Integration & Automation Software of the Year. And,understandably so. The Niagara Software platform has driven change and innovation — and made the smart connected building, as we able to perceive it, a reality. Tridium’s next gen framework, Niagara 4, whose full release is imminent, is even more awesome. CTN Interview with Tridium’s Nino DiCosmo, nominated for the 2014 ControlTrends Awards Executive of the Year, Large Manufacturer. Nino DiCosmo is an accomplished global executive recognized for commitment to setting and achieving Tridium’s vision and goals. Nino is an expert at scaling operations, building customer focused teams, and leading innovative product development. Thermokon — Keeping in Touch with the Future. Thermokon EasySens- EnOcean is nominated for the 2014 ControlTrends Wireless Product/Solution of the Year. David Alliband, Sales Manager, North America is excited about Thermokon’s continued success and the many wired and wireless products and solutions Thermokon has to offer. When Thermokon Sensortechnik GmbH was founded in 1987 by Harald Zygan in Mittenaar-Bicken, Germany, hardly anyone expected the business to grow out of this scale. CTN Interview with David Alliband, Sales Manager, North America. David Alliband reviews the variety of wired and wireless products available from Thermokon and the HVAC applications the Thermokon products are especially well-suited for. Thermokon has grown from a sensor manufacturer to a solutions provider with a broad range of highly competitive quality products available from a distributor near you. Rising Plug-in Electric Vehicle Adoption — Impacts on the Grid (Negligible, for Now). December, 2014: Six utilities that participated in DOE’s cost-shared Smart Grid Investment Grant (SGIG) program deployed in-home and public electric vehicle charging stations and evaluated customer charging behaviors and impacts on the grid. There are relatively few plug-in electric vehicles on the road today, and as a result the six SGIG projects focused on establishing the charging infrastructure with a relatively low number of stations and evaluated a small number of participating vehicles. CTN’S Smart Building Tip of the Week: Accruent’s Facility 360 — Become a Driver of Success. Convert your facility from a cost center to a strategic contributor. Great information from Accruent on how facilities management teams can play a more strategic role in organizations.7 Ways to Save Time, Costs, and Energy: Download White Paper. In a world where you must find ways to “do more with less,” finding ways to cut costs can be challenging – and time consuming. The group responsible for the attack on Sony Pictures, the GOP (Guardians of Peace), has moved away from their normal rhetoric, issuing a thinly veiled threat of terror attacks on Christmas Day; the date when Sony’s picture The Interview is set for general release. The note offered download links to an OST file belonging to Michael Lynton, CEO of Sony Pictures. The group said that this release is the first of several, and part of their “Christmas gift” to the public. “We have already promised a Christmas gift to you. This is the beginning of the gift,” the message from GOP starts. Warning. We will clearly show it to you at the very time and places “The Interview” be shown, including the premiere, how bitter fate those who seek fun in terror should be doomed to. Soon all the world will see what an awful movie Sony Pictures Entertainment has made. The world will be full of fear. Remember the 11th of September 2001. We recommend you to keep yourself distant from the places at that time. (If your house is nearby, you’d better leave.) Whatever comes in the coming days is called by the greed of Sony Pictures Entertainment. All the world will denounce the SONY. To date, the GOP has leaked more than 200GB of Sony Pictures’ internal data, including pre-release movies, executive emails, sales and marketing data, and nearly everything from human resources. This story, “Hackers hint at terror attacks, release more data from Sony Pictures” was originally published by CSO.